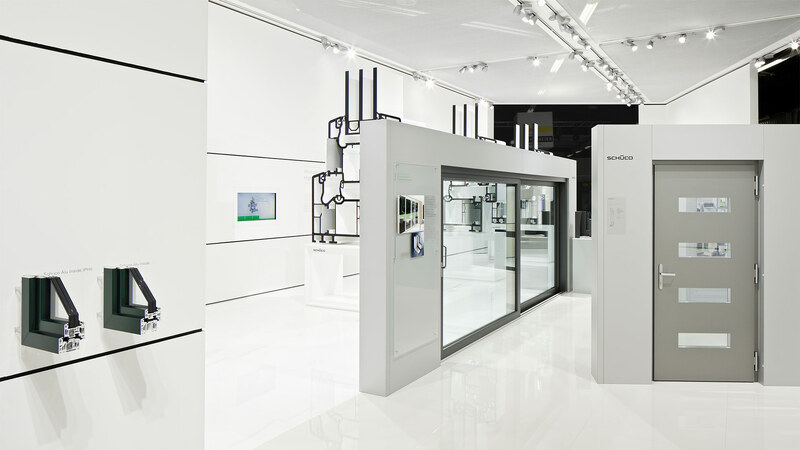 The Bielefeld-based company presents a dynamic exhibition architecture that puts the high-quality plastic window system “Schüco aluminum Inside” on 500 square meters of exhibition space in the center at fensterbau / frontale 2014. 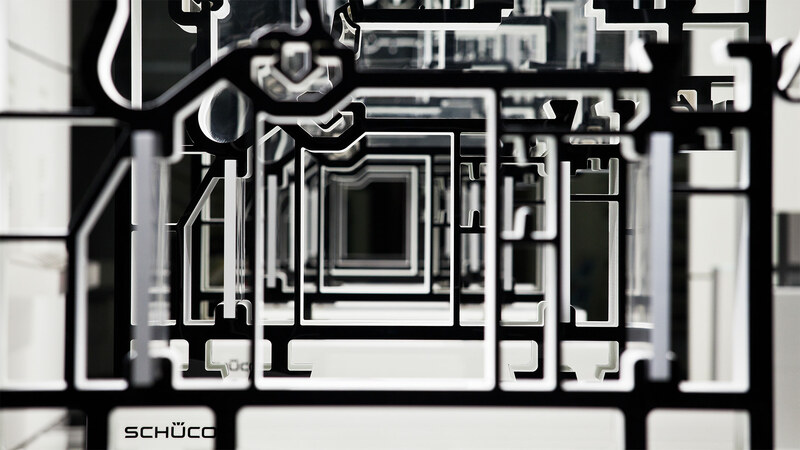 D’art Design Gruppe creates the fair concept for Fensterbau/Frontale 2014 for Schüco. 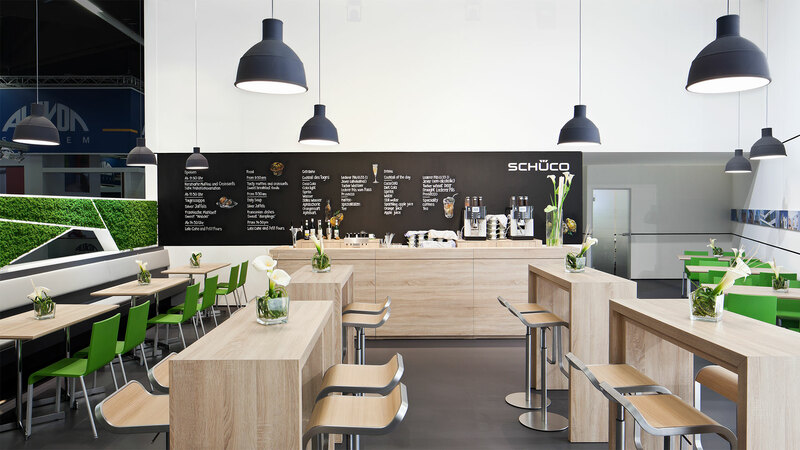 For the second time in a row, D’art conceives the fair concept for Schüco’s business area Plastics. 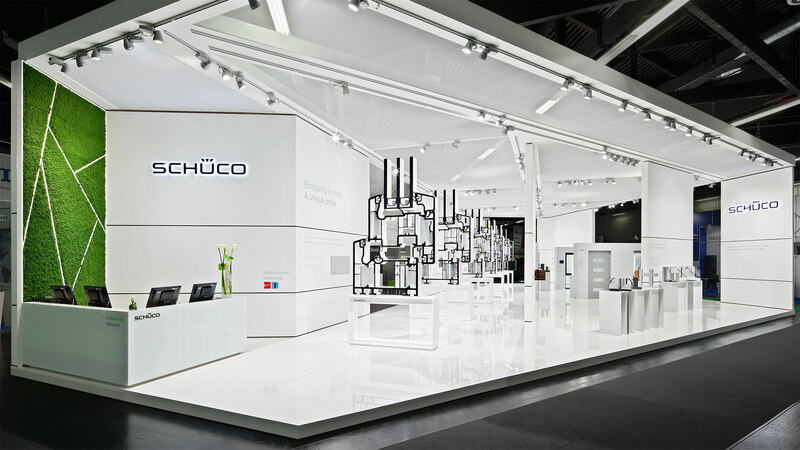 This year it is a dynamic exhibition architecture that puts the high-quality plastic window system “Schüco Alu Inside” into the spotlight on an exhibition area of 500 sqm. 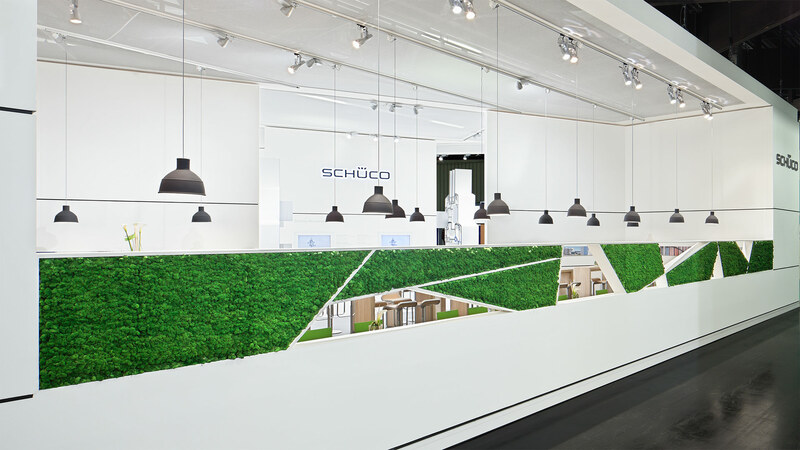 The fair concept opens up to visitors with an inviting architectonic gesture: a wide-open entrance area allows deep insights into the stand and invites visitors to step into Schüco’s product world. The entrance area leads visitors directly into this “Experience Walk”: Here, in an exhibition, oversize profile cross sections arrange the premium product dramaturgically. Thus, it can inspire expert visitors with its innovative interior. 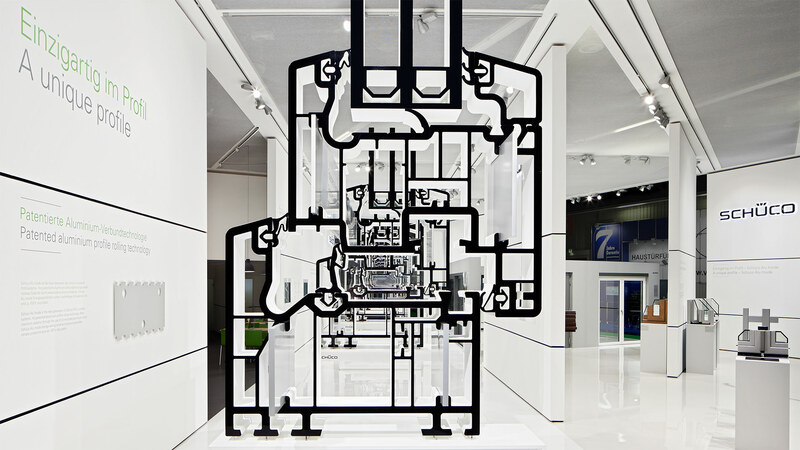 Six profile cross sections in total are presented in detail macroscopically on exhibition platforms: rhythmised in its alignment, the display finds its culmination in the exhibition’s core. At the same time, all product advantages are once again typographically restated. Touch points on the walls add to the analogue presentation on an interactive level. 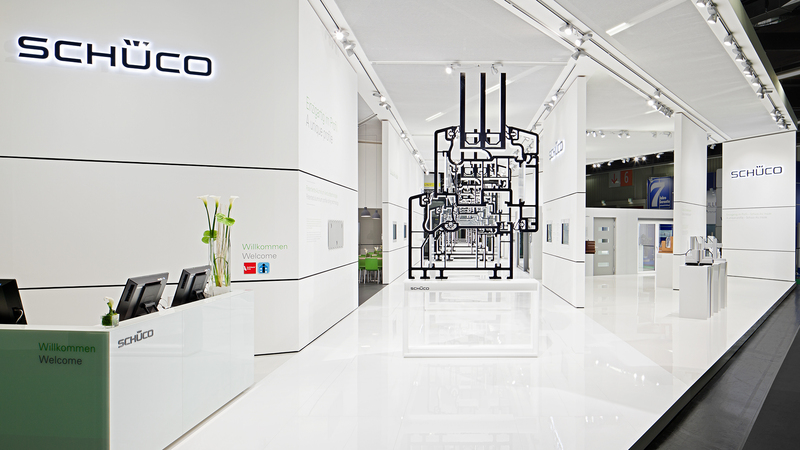 The “Experience Walk“ is flanked by a presentation of more product segments like the surface technology Schüco AutomotiveFinish, the window-integrated ventilation system Schüco VentoTherm or the lift-and-slide door for low energy construction, Schüco ThermoSlide. A spacious communication area with a catering area is located to the left of the brand walk and achieves a pleasant atmosphere for dialogue arranged in the CD colours white and green. A half-transparent screen with real moos both protects the interior from the outside and achieves a spacious openness and warmth for the area.